Eh Dah? Questions For My Father is a master piece that is delightful, heartbreaking and poignant. Aya Aziz, has poured her heart and soul in this piece and it is palpable for the audience. 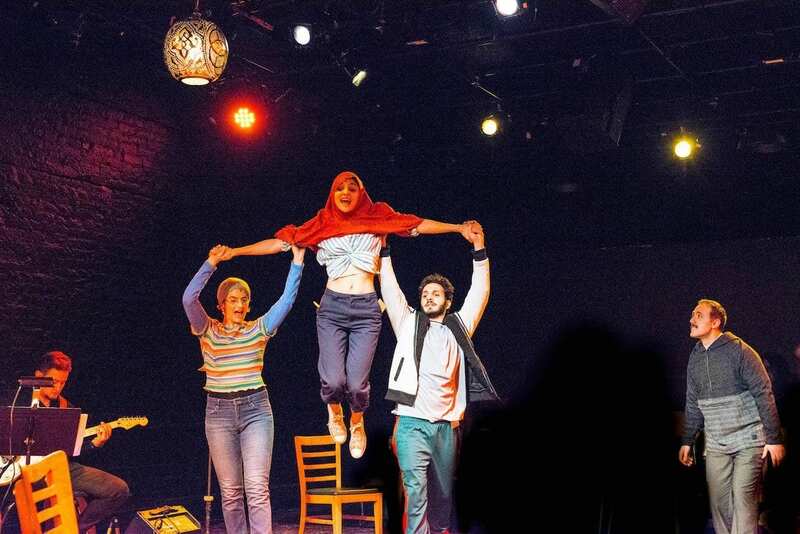 The show premiered as a solo show in Beirut under a different title, and was performed at The Planet Connection Festival and The New York Fringe. Arpita Mukherjee, the director of the show and founder of Hypokrit theater company teamed up with Miss Aziz, and took the show to New York Musical Festival. There at NYMF, Eh Dah? won the award for Most Outstanding Book and Miss Aziz for Most Outstanding Individual Performance. The show in its current form is restructured to involve 4 more actors and does a marvelous job of telling the story. Miss Aziz plays herself while the other 4 actors play multiple characters who make up Miss Aziz’s world. Miss Aziz has done an incredible job with the book and the music. It is refreshing to hear a young voice full of passion and zest. Her songs range from ones with humor and excitement to despair and agony, and each one takes the audiences with them into a world we have never seen. 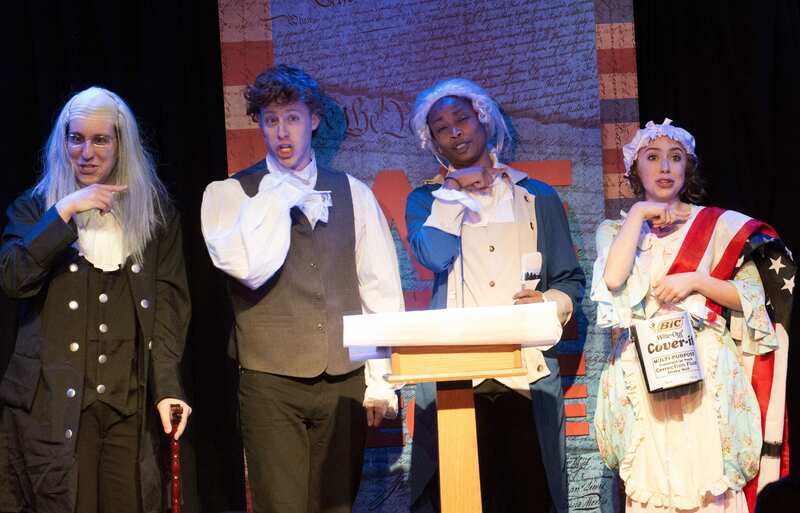 Olivia Abiassi, Waseem Alzer, Ali Andre Ali, and Jenna Bosco, are wonderful in portraying countless characters spanning different age groups, that are distinct from each other and completely believable. Director, Miss Mukherjee and Dina El-Aziz, the costume designer get the credit for making these changes smooth and flawless. Miss Mukherjee’s direction is to the point and keeps the actors moving keeping the energy up at all times. Eh Dah? is described as a show that follows a family divided across continents and turbulent political landscapes as they search for home and belonging. And while the story is about Aya Aziz it touches all of us in some way. Leaving home to build a better life comes at an expense, and Eh Dah? captures it perfectly. The search for ones roots, the need to belong and the need to question are beautifully expressed in Miss Aziz’s lyrics. I left the performance feeling moved, inspired and in awe of the story and the show. Go see it. Eh Dah? Questions for my Father by Aya Aziz; directed by Arpita Mukherjee; produced by Hypokrit Theater Company and New York Theater Workshop. Now through April 14, 2019, tickets here. Summary Eh Dah? Questions for my Father follows a family divided across continents and turbulent political landscapes as they search for home and belonging. 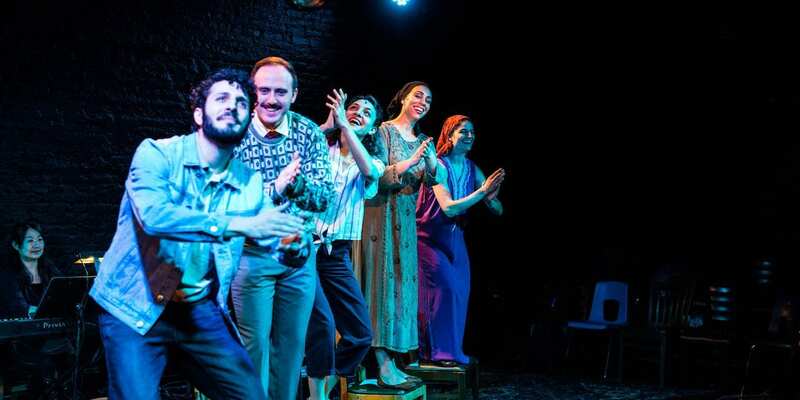 Spanning generations in Egypt and America, this eclectic new musical by Aya Aziz explores how to discern truth from the stories we are told in a post 9/11 world. Recipient of the Best Book and Outstanding Individual Performance Awards at the 2016 New York Musical Festival.